Why are Homeowners Choosing Porcelain Wood Look Tile? Porcelain wood look tile like Mediterranea’s Boardwalk collection (above) are execellent flooring options style and durability are required. 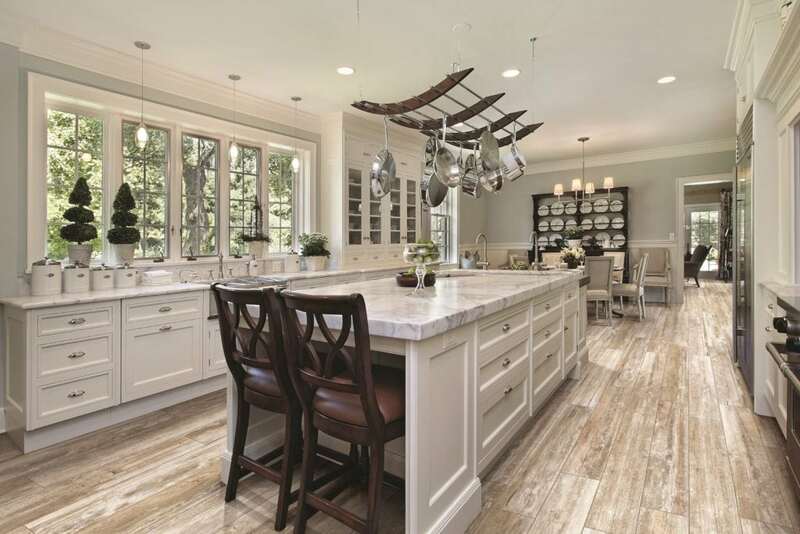 Why Are Homeowners Choosing Porcelain Wood Tile? Porcelain wood tile comes in a variety of styles, colors, and designs that homeowners can select to meet their specific style needs. From contemporary to rustic, you are guaranteed to find a choice that you love. Plus, with customization options available, you can create a unique design through installation (i.e herringbone pattern). Cotto D’Este Forest collection features an aged, hand-planed wood look. With a seemingly similar look to hardwood, porcelain tile offers the beauty of hardwood with the strength and durability of tile. Typically, if your wood floors are scratched, they will need to eventually be refinished. 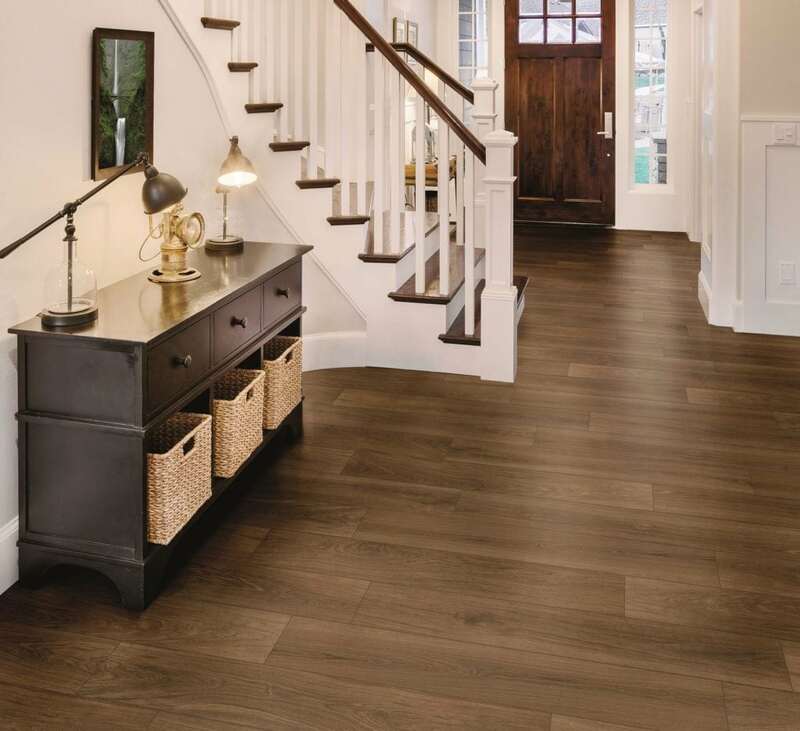 With porcelain wood tile, you can have ease of mind with its scratch resistant, stain resistant, and water resistant properties, making it the perfect choice for active households! Whether you have pets or children, you will not have to worry about the longevity of your floors because porcelain wood tile can stand up to the challenge. Its scratch resistance helps to prevent marks left behind by your pet’s nails, and its stain resistance gives you a little extra time to clean up accidental spills and messes. Plus, like we mentioned before, this amazing flooring option is water resistant, making it ideal for bathroom floors and even walls! You can place porcelain wood tile in areas that you never imagined possible like your basement that is at a high risk for flooding because porcelain wood tile can withstand even flooding. 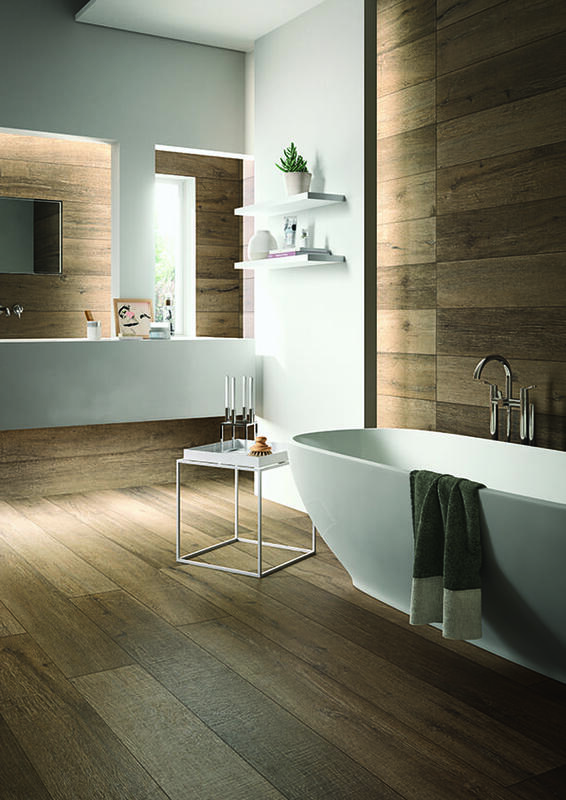 Porcelain wood look tile from Cotto D’Este’s Cadore collection is an ideal floor and wall covering for any bathroom due to it’s water resistant properties. Would you believe us if we told you that a flooring could actually be beneficial for your health? In fact, porcelain wood tile emits no harmful VOC’s that are commonly found in popular choices like LVT and carpet. It also has no allergens, making it the ideal solution for homeowners with allergies or asthma. Plus, when you purchase porcelain wood look tile, you can actually help the planet because it is composed only of all-natural ingredients. 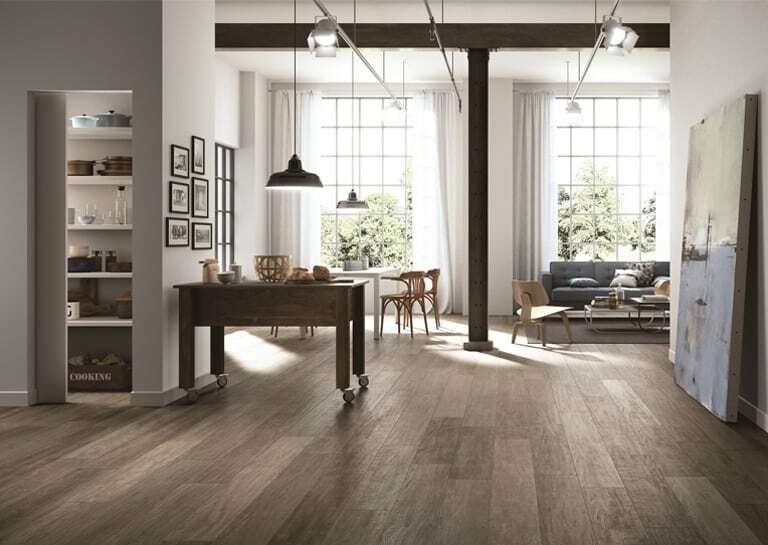 Florida Tile’s Distillery collection is a great example of a beautiful porcelain wood tile with healthy properties. 4. The Guarantee of Solid Craftsmanship. Each piece of tile is thoughtfully and carefully placed by the installer. This hand-laid approach gives customers a more personalized experience with uncompromising detail and flawless customization. 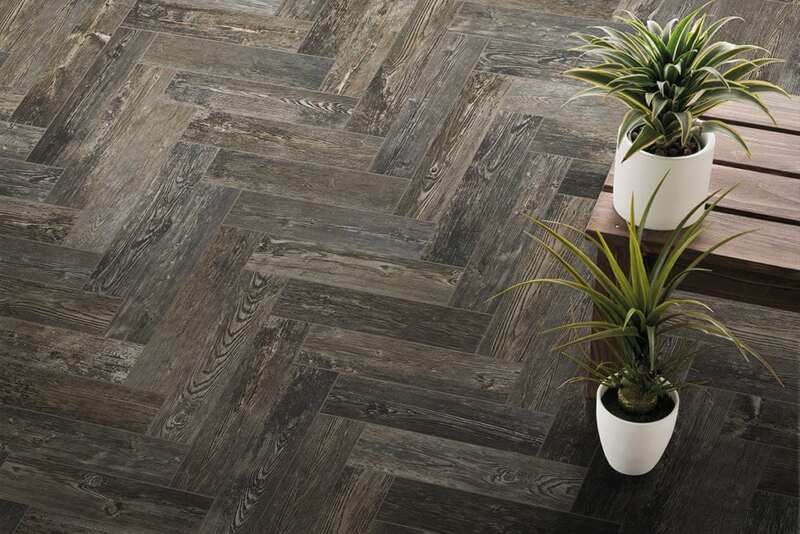 Milestone’s (formerly Florim USA) Forest collection shown installed in a herringbone pattern. Are you ready to start your next design project with porcelain wood tile? No matter the project, indoor or outdoor, porcelain wood tile can be the perfect choice for you! For more information, stop in or call us at one of our three beautiful showrooms. We look forward to helping you put your best floors forward.